Each month we send out complete ADS-B receiver kits that include an ADS-B receiver, antennas, and all necessary cabling to qualified hosts. You can apply to host one of our receivers or easily build your own. The dozens of new Flightradar24-supplied receiver kits and the hundreds of home-built receivers activated in November, combined with over 20,000 existing receivers, helped us track over 5 million flights. New receiver kits are sent to locations that will expand our coverage are or most improve existing MLAT coverage. 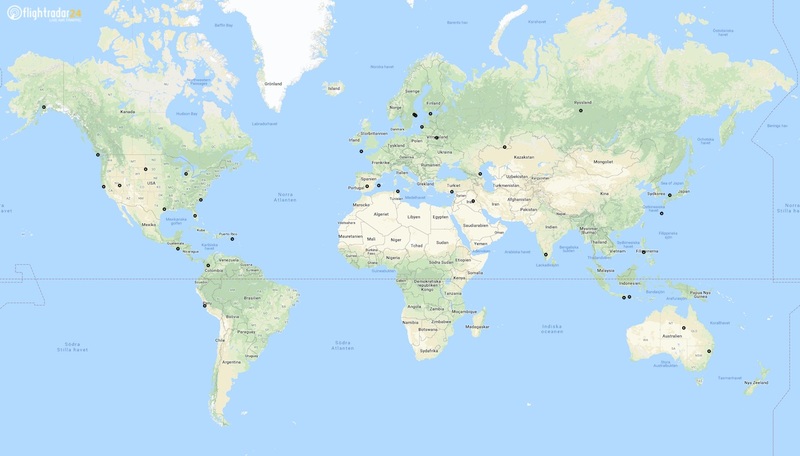 In places like Ecuador, Russia, and Papua New Guinea new receivers are helping track more ADS-B equipped flights, while new receivers in the United States and Iran are increasing our MLAT coverage. Here’s the full map of all receivers activated during November (click to expand). 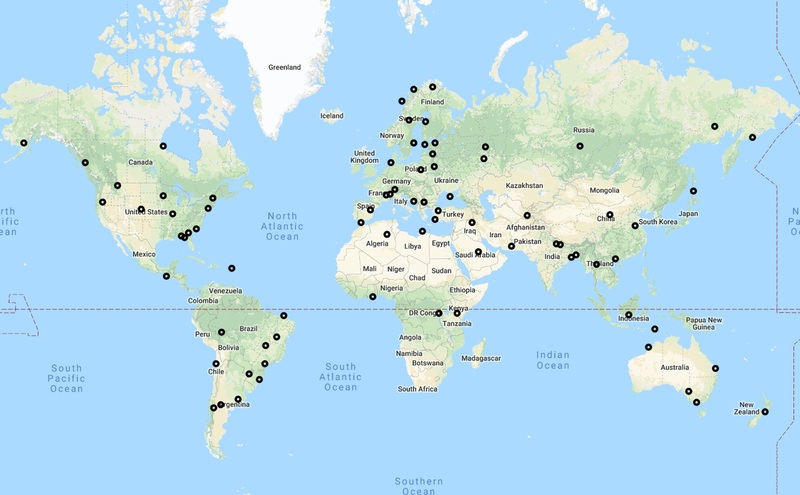 Newly activated Flightradar24 ADS-B receivers in November 2018.